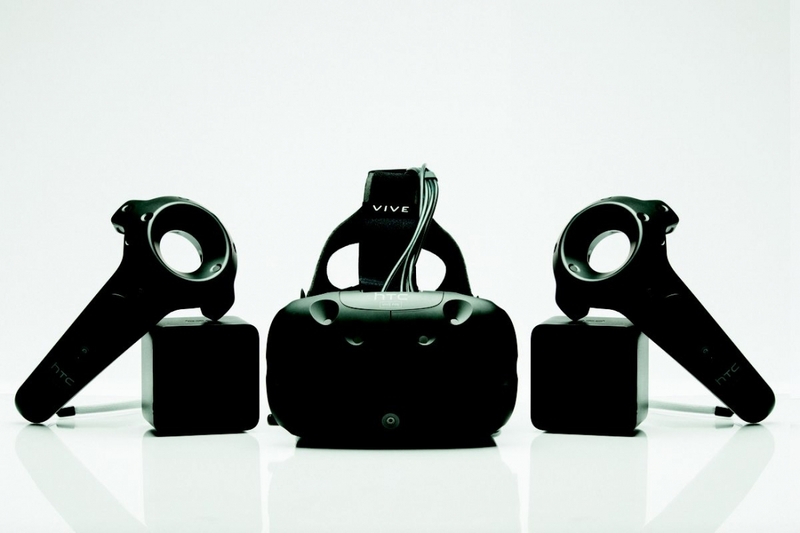 HTC and Valve originally planned to launch their co-developed virtual reality headset by the end of 2015. Last summer, however, HTC said it wouldn't make that deadline and pushed the device's launch to Q1 2016. HTC revealed yet another delay in early December that would ultimately push the Vive's launch back to April. HTC CEO Cher Wang said in mid-December that the development team made a very big technological breakthrough and rather than save it for a later revision, they made the decision to push back the consumer launch so everyone could benefit from it from day one. That breakthrough, as we learned on Tuesday at CES with the unveiling of its second-generation Vive developer kit, is the inclusion of a front-facing camera that lets users peek back into the real world without having to remove the headset. This new dev kit, called the Vive Pre, will serve as a (brief) stepping stone between the original prototype unveiled early last year and the final consumer product scheduled to ship in April. As The Verge explains, the original prototype's tracking space was bound by a blue grid that appeared to indicate to the wearer that they'd "gone too far." With the Vive Pre, that blue grid now serves as a boundary to activate the camera. If you step past or reach outside the grid, a black and teal rendering of the real world comes into view. The camera can also provide a full view of the real world in "chaperone" mode but aside from these two features, it doesn't do much... yet. Third-party developers will be able to tap into the camera, introducing the potential for some pretty incredible augmented reality experiences. Aside from the camera, the second-gen dev kit features a redesigned headset, improved controller ergonomics and new base stations that offer more accurate tracking. Unfortunately, cost remains a mystery and may very well be dictated by the price tag Oculus VR attaches to its headset when pre-orders open tomorrow.